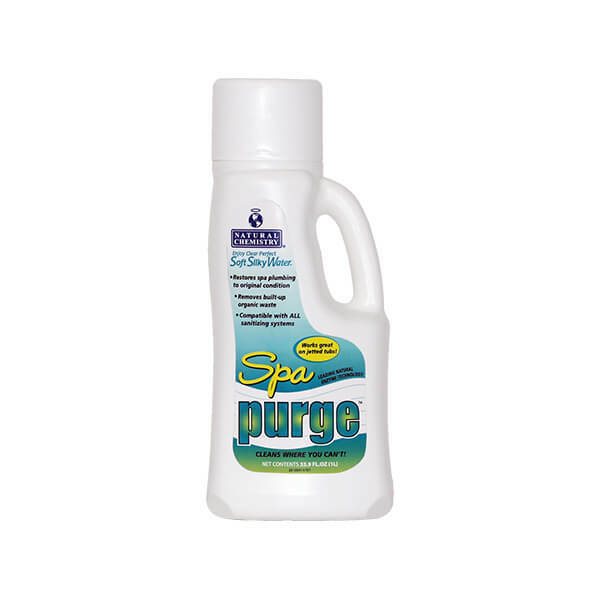 Spa Purge attacks the root cause of most spa maintenance problems- the buildup of non-living organic waste contamination! Oils, lotions, cosmetics, hair products, and other non-living organics build up in spa water to produce cloudiness, unpleasant odors, and foaming. These contaminants collect and build up in spas, circulation systems and filters. By purging the spa, the symptoms of non-living organic contamination will be reduced or eliminated.